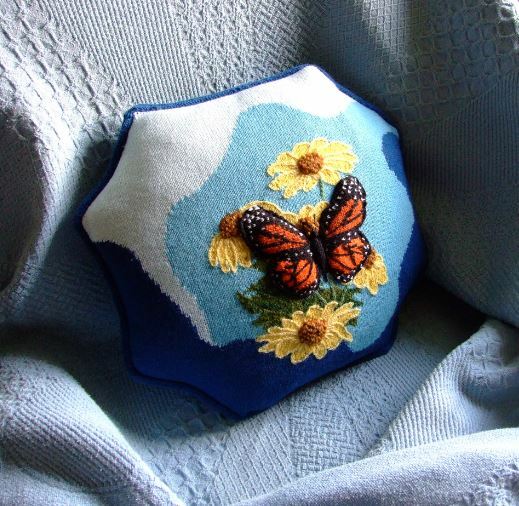 I began this page to have a place to display my pillow designs. I realize that not everyone enjoys doing intense color work, but for those of you who do, this page will allow me to showcase my projects and give you an opportunity to knit them. You will notice that I have used the term “series” as a header for some patterns. I did this purposely, to let you know that I have others in mind with the same theme. 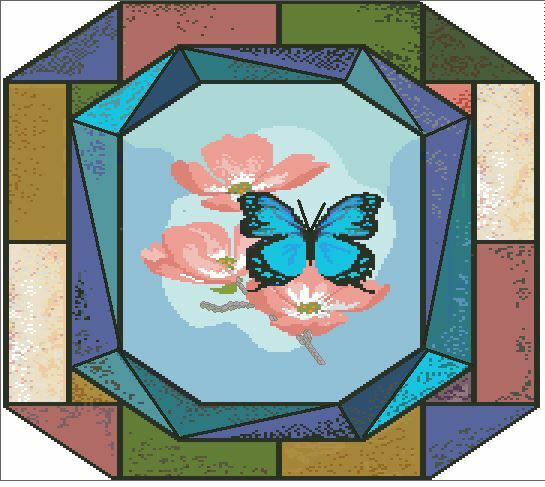 Each of the patterns includes chart, written instructions and illustration of specialty stitches, or techniques. 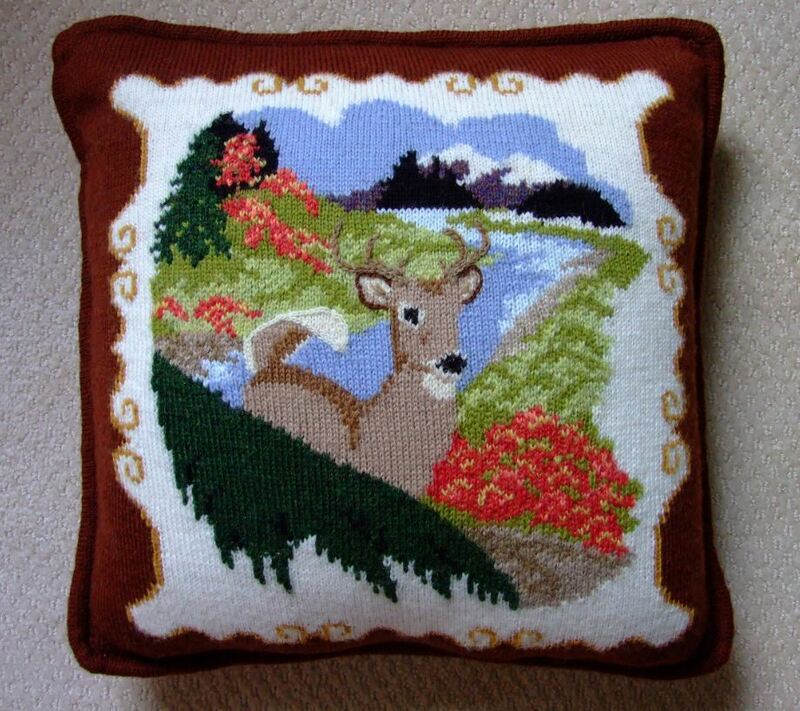 Whitetail Buck – 16 by 16 pillow with corded edge, and fabric back. 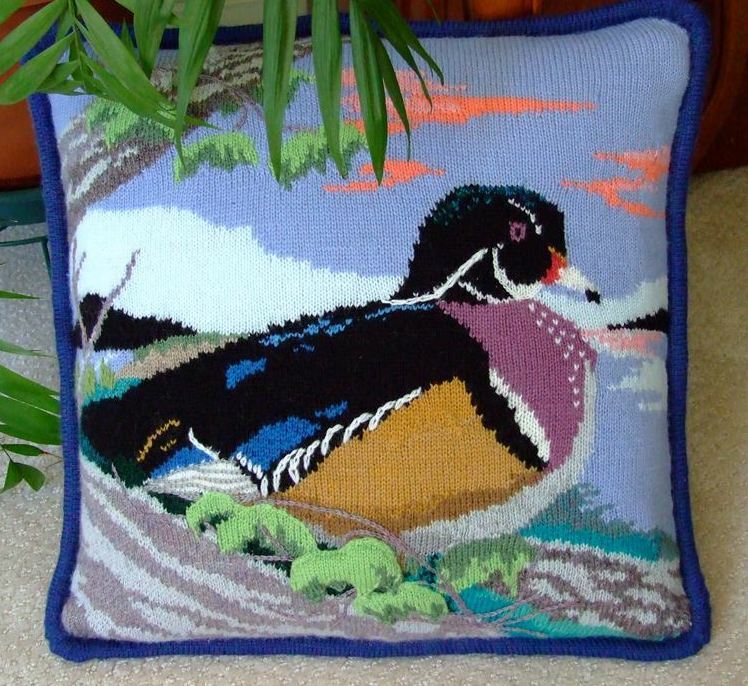 Wood Duck Pillow – 16 by 16 inch pillow with rounded corners and corded edge. 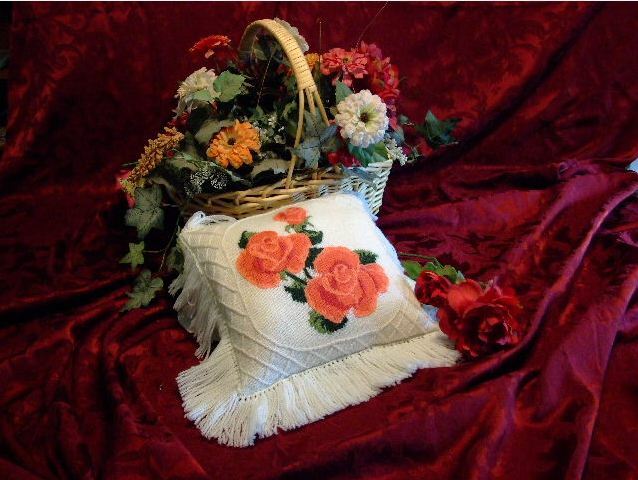 Tropicana Rose Pillow – 16 by 16. 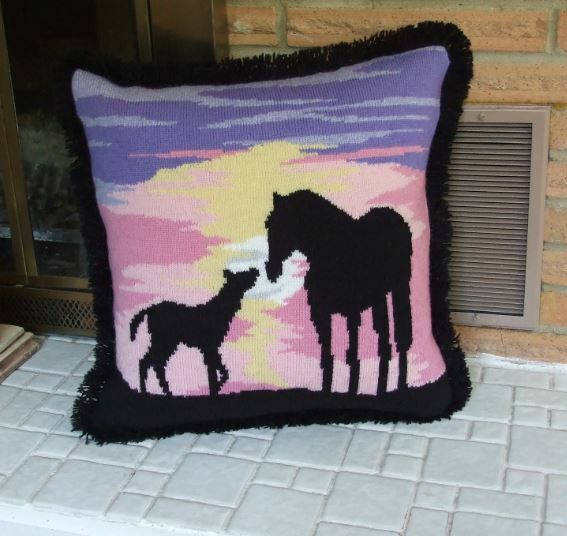 This pillow has knitted back and fringed edge. 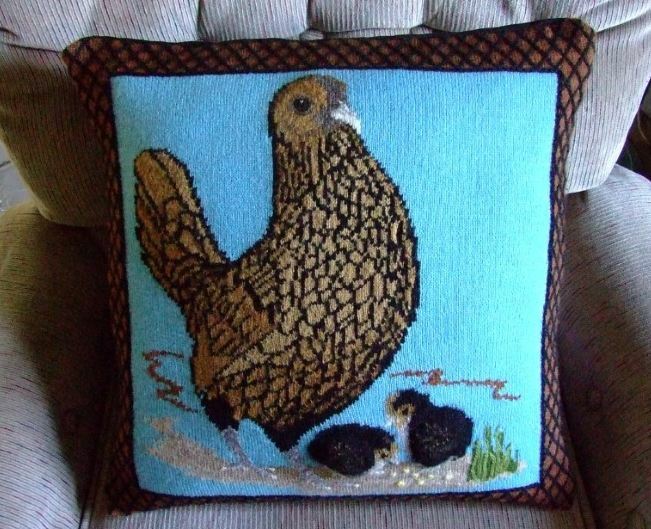 Sebrina Sebright and Chicks is the first of my “barnyard series.” This 18 by 18 inch pillow, uses a variety of color techniques and three types of yarn.